It’s winter and dry, cold air may have you scratching and itching from morning throughout the night. Eczema, characterized by dry, red, itchy patches becomes very problematic when the air contains less moisture. Even slight dips in humidity and temperature can bring on a flare. While ancient lore decreed that itchy palms meant you were coming into money, we now know, it’s most likely to be eczema! And, eczema is a 24/7 proposition which may affect multiple areas of your skin. 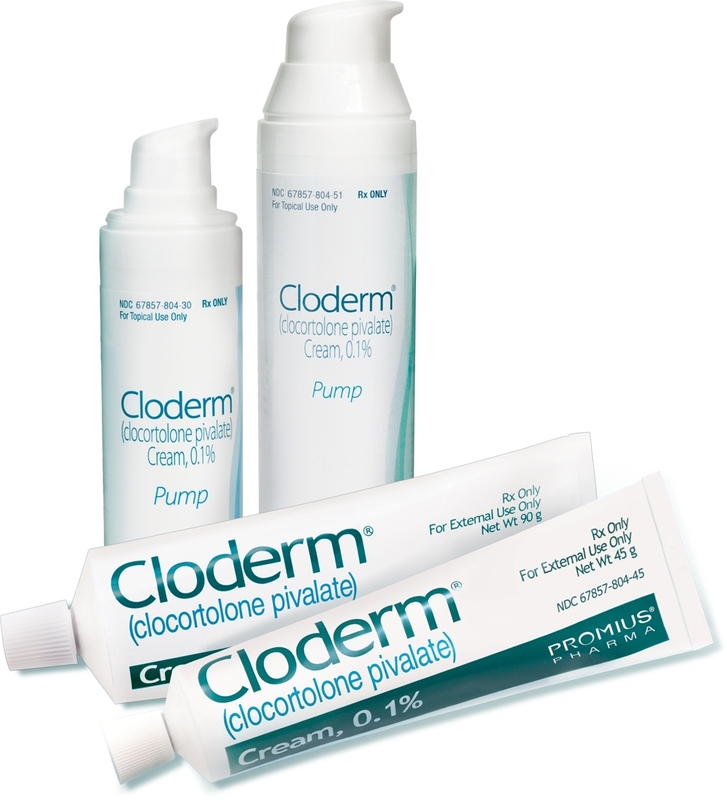 Cloderm® Cream has a unique molecule, clocortolone pivalate, which provides prompt and effective treatment with an excellent safety profile. It has been proven to provide significant relief of eczema symptoms, such as, redness and itching by the fourth day of treatment. Clocortolone pivalate dissolves into oils readily, enabling it to absorb into the skin. In multiple clinical studies, there were very few side effects, none of them serious. Importantly, there are no restrictions on patient age or duration of use, and Cloderm® Cream may be applied on most areas of the body. Dr. Bhatia explains eczema generally begins in early childhood and, despite the myth that one will outgrow it, many patients are affected as adults as well. Many allergists believe that eliminating eggs, dairy products and nuts may bring relief for some people. A form of eczema that results from contact with an irritating substance may affect the hands, and people with hand eczema are advised to wear cotton-lined, waterproof gloves when washing dishes or working with irritating substances. Sweat can trigger an outbreak, so it is best to shower as soon as possible after a workout. Measures to reduce stress may also be helpful. And, the National Eczema Association says that being idle may lead to over-attention to itching. So, try to be active and involved to avoid having too much time to focus on itching and scratching!